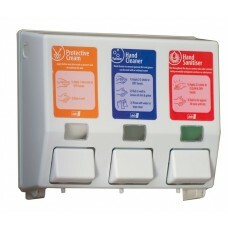 This dispensing unit is a complete 3-step skin care system to protect, cleanse and sanitise the skin. Specifically designed for mobile vans, work cabins and other areas of limited space. 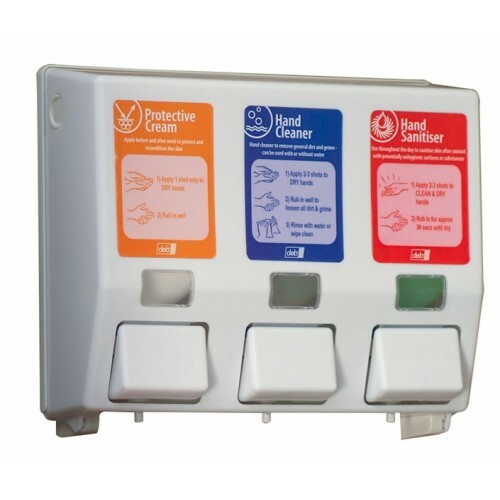 This dispensing unit is ideal for situations where no running water is available.